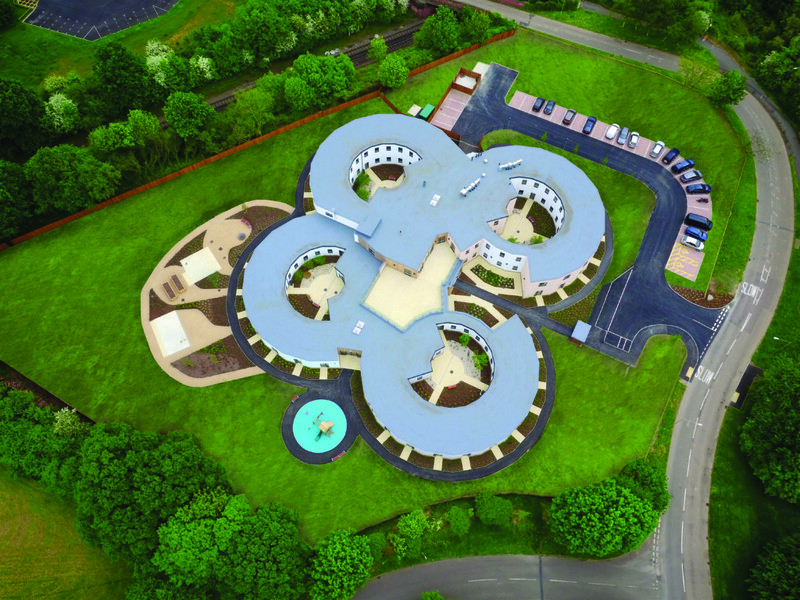 With its distinctive circular design, Abbeyfield’s Winnersh care home, which opened in September 2016, promises to revolutionise dementia care. We talked to Abbeyfield and development and construction partners Castleoak to find out how the futuristic structure came about. 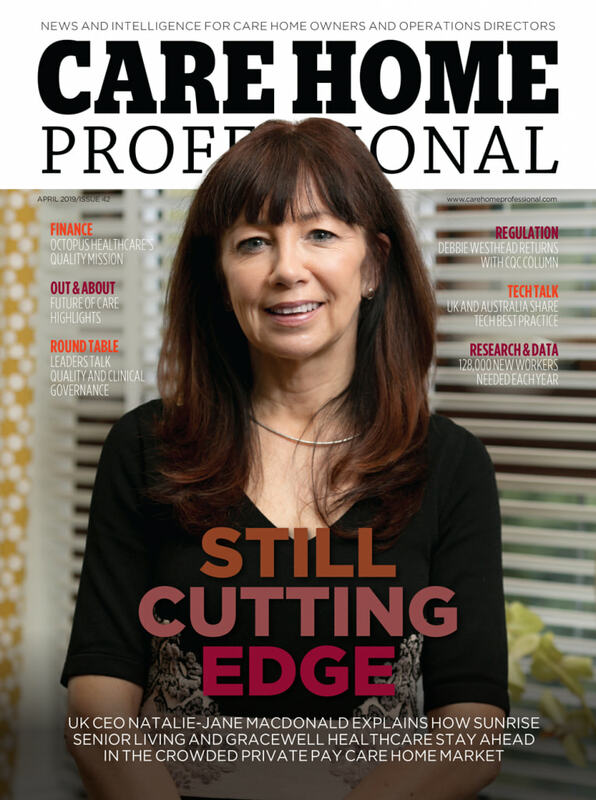 Care Home Professional (CHP): Why did you choose this site? James Player construction director Castleoak (JPC): Abbeyfield were looking for an ideal site. Our development team identified the site in Winnersh. We use consumer demographic data overlaid with care provision data and planning data so we could see the current supply of care and potential future need for care. 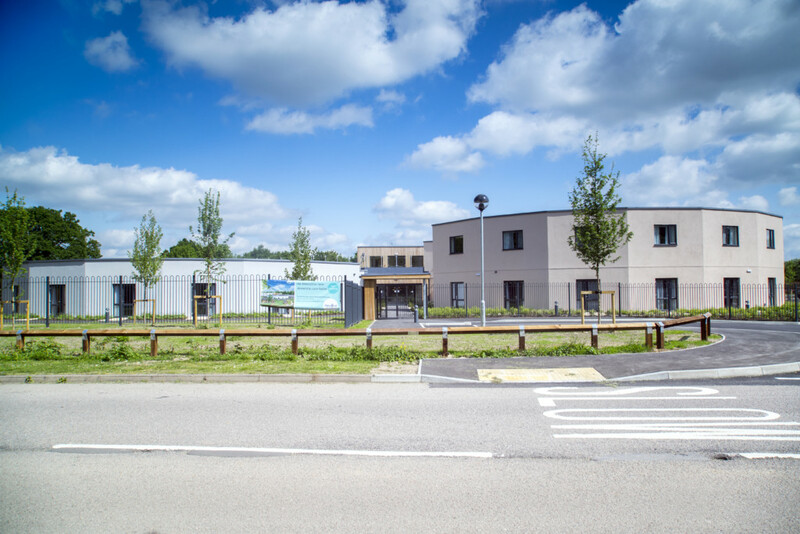 CHP: Does Castleoak consult with the NHS about need when you are considering a site for a new home? JPC: No we don’t. We are looking purely at the market for care commercially, the value of the property and the emerging need for care over the next 10-20 years considering the ageing population. CHP: Does Castleoak do any specific analysis on how many people have dementia in the area? 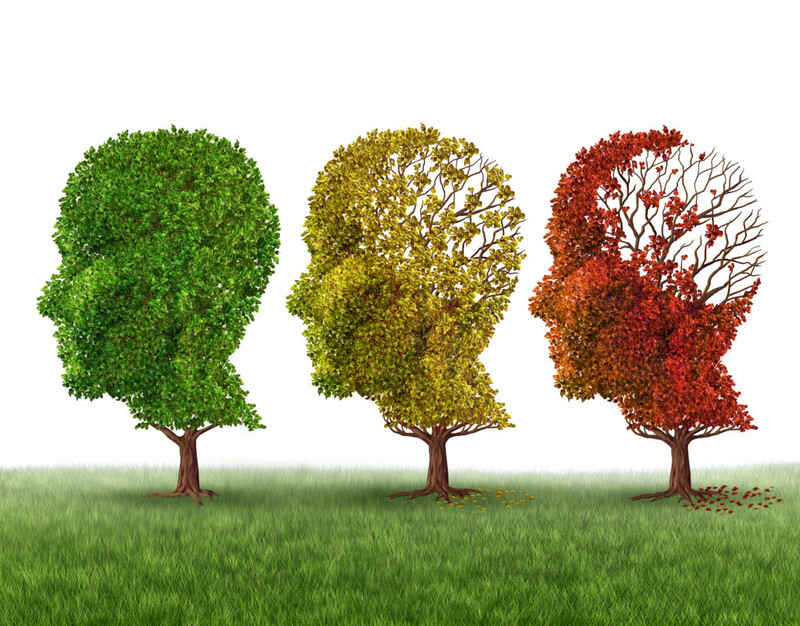 JPC: We look at the industry data on the potential of people developing dementia. There’s lots of ifs and buts. We presented the data to Abbeyfield so they could decide whether the investment made sense. CHP: Was this site difficult to find? James Parkhurst, Abbeyfield head of development, east (JPA): Not really. When we approached Castleoak they had already identified a site in this area. JPC: Our development team are constantly looking at the viability of sites. We go through the analytics to see if there’s current and future demand and decide what sort of care development could suit the location. CHP: How did Castleoak initially acquire the site? JPC: Castleoak has a development team of 12 people looking for care and assisted living sites. They are split by geographical area and cover the southern part of England and south east Wales. If we identify a site that is compatible with a customer, the challenge is then to acquire it and achieve planning. We have a very high record of planning success. Managing the planning process is part of our service. That was challenging here as it often is. Our conversation on this site started in around 2012. 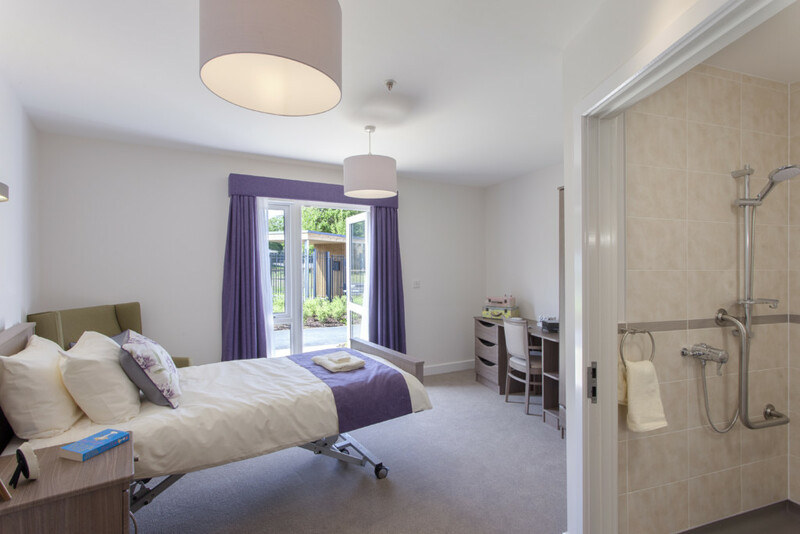 We are a development, construction and manufacturing business specifically for the care and retirement living sector. 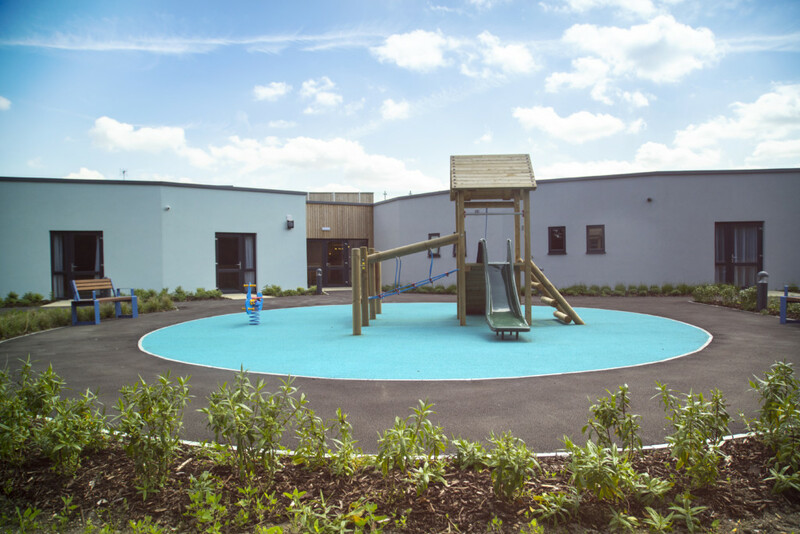 We look after the full project process from site acquisition and achieving planning, design specification through pre-construction, construction and after care. The development team do not work in isolation. They work in tandem with our design and cost planning teams. We do not want to get to the planning stage and find out that the scheme is not going to work financially. Our teams support each other. Having development, pre-construction and construction working as one team is quite unique. CHP: How did Castleoak overcome the cost challenges of the project? JPC: We had in mind a masonry framework for the building initially. This can sometimes be the most cost effective option but on this building it wasn’t. We proposed a redesign with a timber frame. Abbeyfield needed some convincing around the timber frame solution. 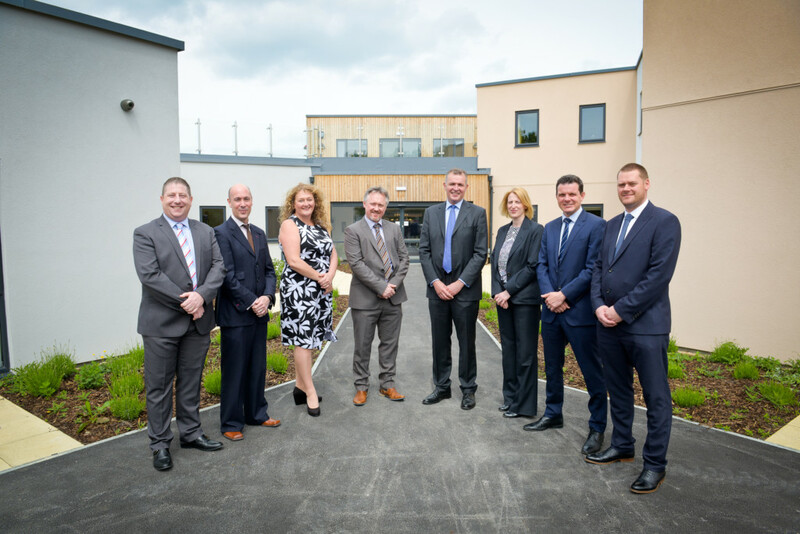 We brought them to our timber frame factory and took them to visit completed timber frame care homes so that they were fully comfortable with this approach. There were challenges with this innovative design as this was not a conventional timber frame. We had to negotiate how to build a circular building with flat panels. We wanted to eliminate masonry cladding to make the building lightweight and allow more off site prefabrication to offer the customer cost and time savings while still maximising quality. The panels, with external cladding, floors and roof were manufactured at our factory in Ebbw Vale. We used Knauf external render board and applied Webber’s lightweight render to the building on site. Windows were pre-fitted at the factory too. There were issues that we worked well together as a team to overcome. Since 2010, 75% of our care home, assisted and retirement living projects have been built with timber frame. We use a lean construction approach so that delivery programmes are driven by available resources throughout the project. This enables a smooth, efficient flow of work and we can close out areas as we go. We undertake high level master planning with all of the trade suppliers. We held weekly collaborative meetings with our sub-contractors to make sure that they were working in the right area and on the work we want them to focus upon at the right time. JPA: Some people at Abbeyfield were initially dubious about the timber frame because of its poor reputation, which is generally a hangover from the 1970s and 1980s. The technology has moved on so much from shaking floors and everything moving. As soon as we were shown the quality that Castleoak had delivered previously for other care home projects we felt comfortable with it. CHP: Was the build finished on time? JPC: Yes. Once we have agreed a scheme we like to commit to a timescale and consolidate a delivery time from the word go. Lean construction is a continuous improvement journey. If we built this again we would build it quicker. We looked at the project again when we completed it so we could work better on the next scheme, which might save weeks on the job. We had some learning on balustrade support and timber support and balcony support which we can take forward. What we want are buildings that have been detailed right first time. We want certainty in delivery, certainty in quality and to get the job done safely. We had a 56-week programme for the build which was completed on time and on budget. We had a very good client in Abbeyfield. They provided strong support and very quick decision making which you need to deliver a project successfully. JPA: Because we worked so closely from day one there was minimal change because everything had been agreed before at the early design stages. There were only four contract instructions, which on a scheme of this size is pretty good. This is our first completed project with Castleoak. We have another scheme in the pipeline in Southampton, which is at a very early stage. CHP: What does Castleoak offer in terms of aftercare on a build? JPC: We have a very effective aftercare team. We have a log of all reported issues and close these out within agreed timescales, relative to the severity and priority of the problem. JPA: Aftercare was key for us when deciding on a partner. Everything can go wonderfully well and a project can be delivered on time to budget but if the building has been in operation for a year and all that anyone hears is problems then the project can quickly been seen a failure or a problem. The most important aspect is that the building operates properly from day one and all the problems get sorted quickly. Castleoak do that very well. CHP: Did you have to negotiate for the price of the land? JPA: The land price was decided pretty early on. We have to know from day one whether something is going to work. We set the budget very early on in the discussion. From then on everyone knows what they are working towards. Castleoak were able to say we have this land, it is going to cost this much and the build cost will be this much. We can then look at our costs against our budgets. CHP: Did you stay within budget? JPA: Pretty much. The original budget was set at £8.8m for the whole development and just before start on site it went up to about £8.9m following more detailed design and analysis. CHP: How did the design of Abbeyfield Winnersh evolve? JPA: Once we had the site, we then had to look at what building we wanted to put on it. Our head of dementia care specialist at the time sat down with our development director and Castleoak. She explained how she thought the building should work. She said she wanted a building without dead ends, as they can increase anxiety for people living with dementia. The architect took those ideas away and produced the circular concept. It evolved from our knowledge and experience of working with those living with dementia and how we want to care for people living with the condition. CHP: How are care regulations incorporated into a design? JPA: The regulations are obviously part of the design process. Castleoak and the architects have experience in the field. Everyone knows what has to be met but that’s down the list. The top of the list has to be residents’ needs. The priority for the building was the residents rather than the design and aesthetics. We don’t do something because we have to meet a regulation. We meet that regulation by working it out as a problem rather than having it lead us on the design side. Bodies like Stirling University gave us advice on what they believed should be done which we followed generally but we moved away from some of it. For example, we believe having a large central dining room benefits residents where Stirling would argue against that. If someone does want to have a quiet meal on their own, however, there’s a place for them to go to within the building. 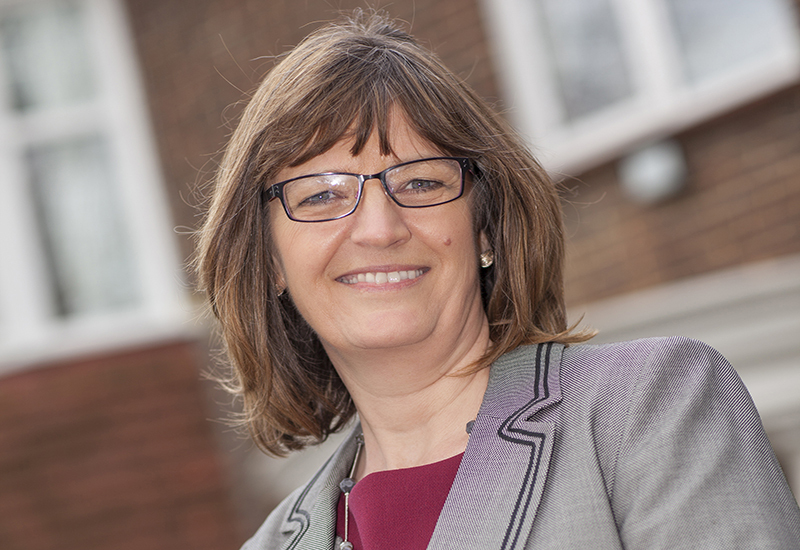 April Dobson, head of dementia innovation, Abbeyfield (AD): It’s the Abbeyfield ethos whether it’s a small house or a large development – everybody comes together for a meal. That was part of the original thinking when the organisation was founded 60 years ago. The whole purpose of Abbeyfield was to alleviate loneliness. That has still followed through into this very modern service. JPC: The must-haves on regulation are a given and then we are looking at what we can do to create a better environment. CHP: Is this the first building of its type? JPA: There are other buildings which have circular areas but this is the only fully circular care home development that I know of. In fact it’s four circles are connected to a central core. JPC: The circular design enables the freedom of movement around the building. The resident can move freely wherever they want. We see a lot of designs that are driven from an external aesthetic and it’s secondary to how the space works inside. What’s driven this project is the experience of the resident. They have views out from every room. Every few metres residents can see into a garden. Doors are unlocked. Residents are free to walk out into the garden. We also have small courtyard spaces that have a cosy feel. AD: The residents can go outdoors when they choose to do so. The carers will know where they are; from a carers perspective the observation level on this site is brilliant. The normal risk assessments are in place and they make sure that people are safe when they go outside. If a resident needs to be accompanied, a volunteer or member of staff will walk around with them. Or it may simply be a case of getting the right equipment to enable people to do what they want to do. We have taken a different approach to risk management that takes into account the benefits of enabling people to do things as well as managing the risks. People so often look at the physical risks without looking at the emotional benefits of being enabled to do things. Where we can find a way, that’s what we’ll do. We plan to add an outside loo here so that people won’t have to come inside from the garden all the time. CHP: How does the freedom to roam go down with the families of residents? AD: It’s not something that they generally expect but they are generally very positive when they know that their relatives have complete freedom of movement. For visitors it’s really important if you can sit in a nice open space or another familiar setting. It makes a heck of a difference to that visit and the relationship between people. 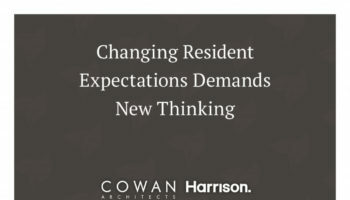 CHP: Have you noticed any benefits of the new designs on your residents? AD: We have. For example, there was one lady who came to live here from another home who had been throwing fire extinguishers at the building and at other people. It may have been because she was frustrated that she couldn’t get outside. She hasn’t repeated this behaviour since she moved here. She’s free to move around the building as she wants. Abbeyfield has commissioned a piece of independent research so that we can factually measure the reduction of medication prescribed, such as antipsychotics and sedatives. We will also measure whether falls have declined, as well as people’s anxiety levels. Through observation and interviewing families and the residents themselves we will be able to see the impact of the design features on those who are living with dementia, for example our ‘no dead end’ design. We’ll analyse which parts of the building people are finding it easiest to walk around and which areas are being used the most. We expect to have the first research results around April. We know there are huge benefits to people living with dementia from getting outside and we encourage this through our “Breath of Fresh Air’ programme. Daylight and being outdoors helps to improve appetite, decrease falls and supports the resident’s overall physical condition. Abbeyfield Winnersh is an exemplar of how we would like people to access the outdoors. CHP: So is the building design a model Abbeyfield will be rolling out elsewhere? JPA: Yes, subject to us having proof that our theories have been proven to work, we hope to find another suitable site. This is an expensive and very land hungry design. It is only suited for certain locations. We couldn’t have done this in central London. It’s a 2.5 acre site with 60 beds. If you gave that to other providers they could easily got 100-120 beds on this site. The bedrooms may be slightly smaller than those of other providers, we don’t want people sat in their bedrooms all day. We want them out and about and engaged. We have designed the home as six small communities to provide a more intimate, less clinical environment. Individuals and their families get to choose where they would like to live. Each street has 10 bedrooms, with one shared assisted bathroom, on top of the en suites provided with every room. We also have shared assisted spa bathrooms. Each street has its own sluice, which has been provided by DDC Dolphin. Most of the street streets have their own lounge. People are also free to mix in the other community areas. It’s all about choice and letting the residents do whatever they want. We have a corner shop, hobby area, cinema and a library where people go to meet each other and can carry on with their daily routines. CHP: Does Abbeyfield Winnersh have any links with the local community? AD: We have a community and well-being co-ordinator who helps residents to stay in touch with the local community. The community can come in and residents are able to go out. Our well-being co-ordinator’s team includes activities co-ordinators to work out what sort of activities support well being. They will work individually with residents and also on a group basis with people with common interests. When we were marketing the home to local residents our team took our residents out to meet the local community so from the very start there was a link. We also have ties with the local primary school. Its pupils visited the site during construction. We have set up an engagement group to find out what connections our residents want with the local community. It’s got to be led by them. CHP: Is everyone privately funded within the home? JPA: Currently they are. Our fees are £1,200 a week. We leave 10% within our budget for local authority fee payers who can pay top-up. We are a charity. To make sure we get the income and make the scheme viable we need to get our private funders in first. AD: I don’t think there is one local authority that will pay what it costs to provide care today. Industry wide the true cost of care is around £900. Nursing care can be more expensive. It’s not just about staffing costs. The social care precept announcement will help slightly and there is other money coming from elsewhere but it’s a question of whether that’s sustainable. CHP: What technology are you using here? JPA: The staff have a smartphone handset which has all the nurse call systems on it. Soon the front gate will be controlled from the handset too. We are moving towards having a care management system on the handset. We are looking at different suppliers. We want to roll this out across all our homes rather than having a different supplier for each home. We are also looking at a discrete resident monitoring system so that staff can see where every resident is at any time. We will be able to set up alerts to prompt our staff if a resident has been outside for longer periods, for example. This technology is a back-up and support to our staff. Really impressive home this, a lot of thought has gone into the layout and structure. I hope to see other developments adopt similar concepts. 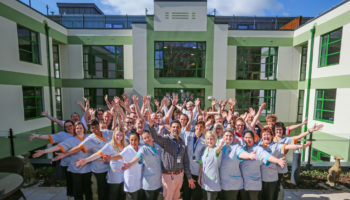 I work for Alpine HC and we have recently completed the full interior-fit-out of the Vida Grange specialist dementia care home for Vida Healthcare. There are similar traits to what is discussed above, most notably the ‘continuous corridors’ that allow residents to move around freely. 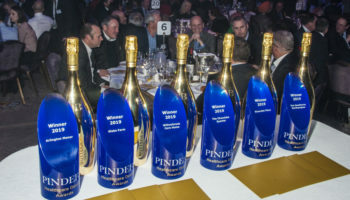 Check out our gallery of Vida Grange for more information… https://alpinehc.co.uk/engage/projects/vida-grange/. Can’t wait to see future care facilities taking on and improving what Abbeyfield and Vida have already done. The architecture is unique and impressive, and the rooms look quite spacious. Most seniors with dementia face difficulty adjusting to a new environment. Let’s hope this facility can change that.